The Oscars sputtered out after only two years, the Grammys are of course fictional, and the Stanley Cup has yet to be awarded to anybody. That means that with the Third Annual Saxxy Awards, we will officially be the longest-running awards event of all time. Help us make history by voting, from now until midnight PST on November 24th! And if voting wasn't exciting enough, how does sending people to jail sound? Because that's what you'll be doing by helping us police the entries for following the rules. Filmmakers will rot in jail on your say-so! In fact, the lawyers tell us they've updated the SFM license to also include an ancillary license to kill! And hold on, there's even more late-breaking news, because the lawyers are now telling us--are in fact typing this right now--that the SFM does not grant you the right to kill and you can't send anybody to jail. Okay, the lawyers stopped typing. I know we're all pretty angry about this turn of events, but we still do need your help checking entries for rule-breaking. If you've submitted a video, note that we've extended the deadline to add contributors to your submission until the end of voting Sunday night at midnight PST, so if you haven't finalized your contributors yet, do it now! While you're at it, you'll want to remove any YouTube ads from your submissions - videos with ads aren't eligible for nomination. 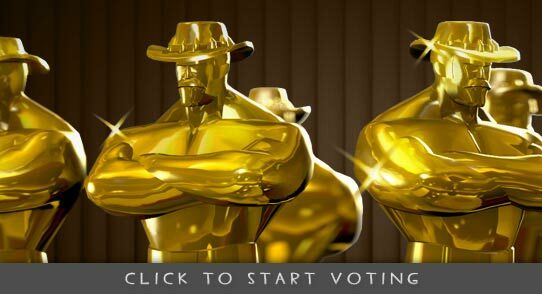 Nominees will be revealed on November 25th and the winners of this year's Saxxy Awards will be revealed on November 26th, so get voting!